The Whyalla REBE School Cluster comprise 5 schools: Hincks Avenue Primary, Whyalla Stuart Campus R7 Primary, Whyalla Stuart Kindergarten, Long Street Primary and Whyalla Stuart High school. Educators at these schools promote the work of Albert Ellis through Rational Emotive Behaviour Education; they are Rational Emotive Behaviour Educators. They continue to wage war on musturbatory beliefs that students have constructed over time so they can learn to think, act and feel in ways that will help themselves and others pursue their goals in life: to be happy and successful. 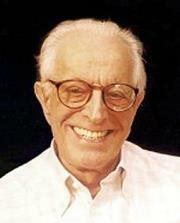 Albert Ellis is the original 'positive psychologist' and educators in Whyalla are on the ball! How can early childhood educators help young learners understand and apply Rational Emotive Behaviour Therapy principles in daily practise? This is an oft asked question and some would say it can't be done. The truth is that early childhood learners are very amenable to this kind of learning. Early childhood educators in Whyalla, South Australia attended a workshop at Gabmadidi Manoo Children and Family Centre. The focus was on using popular children's stories to teach the think feel do connection. We looked at a favourite book character, Arthur: an ordinary brown dog. Could we help Arthur feel better even if he couldn't get what he wanted - to find a happy home away from the pet shop where it seemed he would stay for ever! Young learners would say that the only way he could feel better is if he could be removed from the pet shop. 'I'll go and get him' one and all will say. It is a universal truth that we cannot always change the situation 'A' (ABC Theory of Emotional Disturbance) but we can examine, challenge and change our thinking at 'B.' How we feel and behave has a lot to do with how we think about situations. We learned at the workshop how we can illustrate through the experiences of characters like Arthur that we can manage our feelings and behaviour effectively. Young learners understand that even if Arthur was not chosen as a pet (he eventually was of course!) he could still feel better in a difficult situation. This is what Rational Emotive Behaviour Educators do in Whyalla, South Australia. They teach young people how they have constructed their 'thinking rules' and to challenge and change the unhelpful ones!